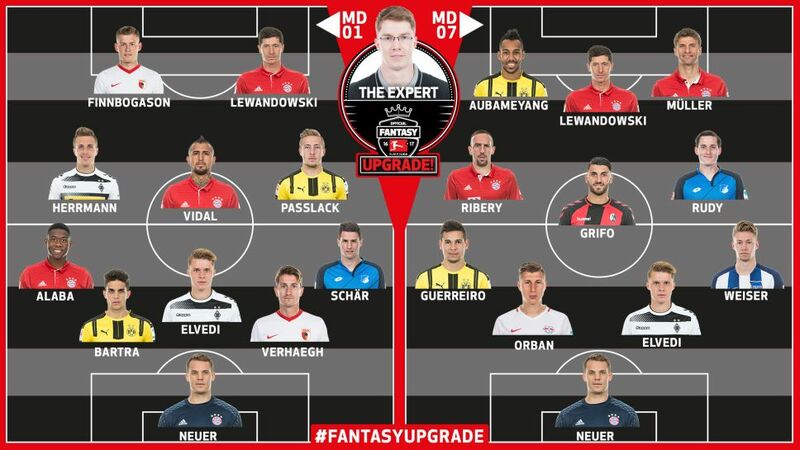 There is still time to take advantage of unlimited transfers during the international break and give your Official Fantasy Bundesliga squad a makeover. This week, our insiders reveal how they used Fantasy Upgrade to overhaul their team from Matchday 1 to the line-up they’re sending out on Matchday 7. First up, Matt ‚The Expert‘ Howarth. "Mario Gomez of VfL Wolfsburg could be a great asset as one of my forwards…"
It hasn’t quite worked out that way, has it? To be fair to Gomez, I am still convinced he will have a successful season at the Volkswagen Arena. Once he opens his account for the club the goals will start to flow, but his failure to find the target in any of his first six Bundesliga appearances has forced me to eat those words - typed with such confidence at the beginning of the season - and find a swift replacement.